When the first trailer for The Force Awakens was released in November 2014, it wasn’t just the sight of the Millennium Falcon skimming over the sand dunes that evoked our nostalgia, it was the triumphant return of John Williams’s iconic music. No other film series has a soundtrack that is so recognisable, so intrinsically associated with the movies that the mere hint of a familiar refrain can invoke powerful memories in the audience. John Williams has composed some of the most iconic scores in the history of cinema, from Jaws to Indiana Jones to Harry Potter. The popularity of his music means that he is one of the few living composers who has become a household name. And the accessibility of his scores has introduced multiple generations of children to classical music. His influence on cinema means he is comparable to such luminaries as Mozart or Beethoven, and his music has undoubtedly reached more ears than either of those composers. His greatest achievement – his most popular – is his work on Star Wars. 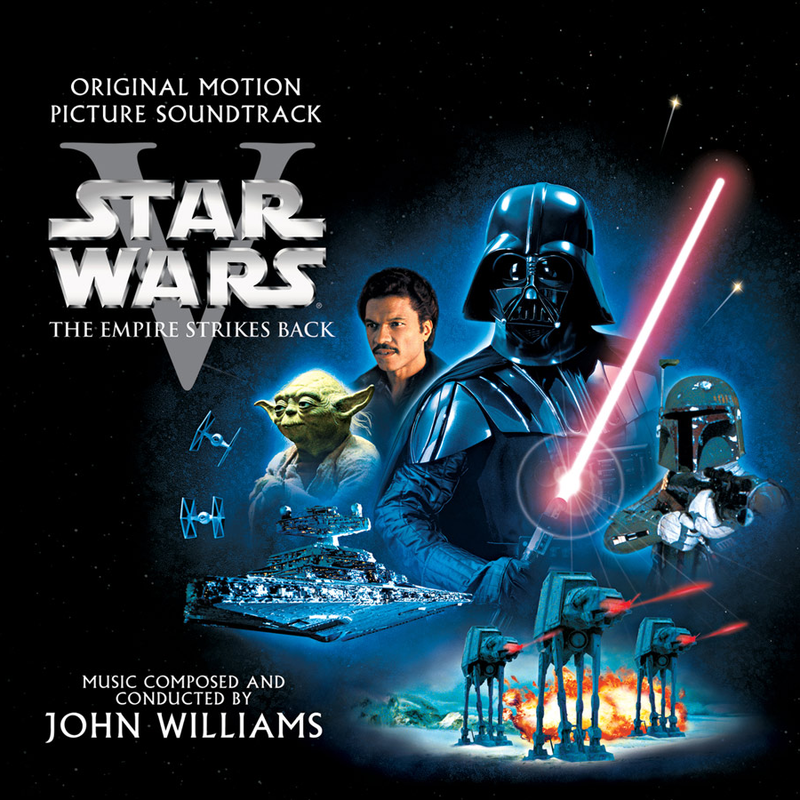 The music of Star Wars has become so recognisable partly due to John Williams’s decision to revive the musical technique known as the leitmotif. This is a recurring musical phrase that signifies a character/event/place/idea. 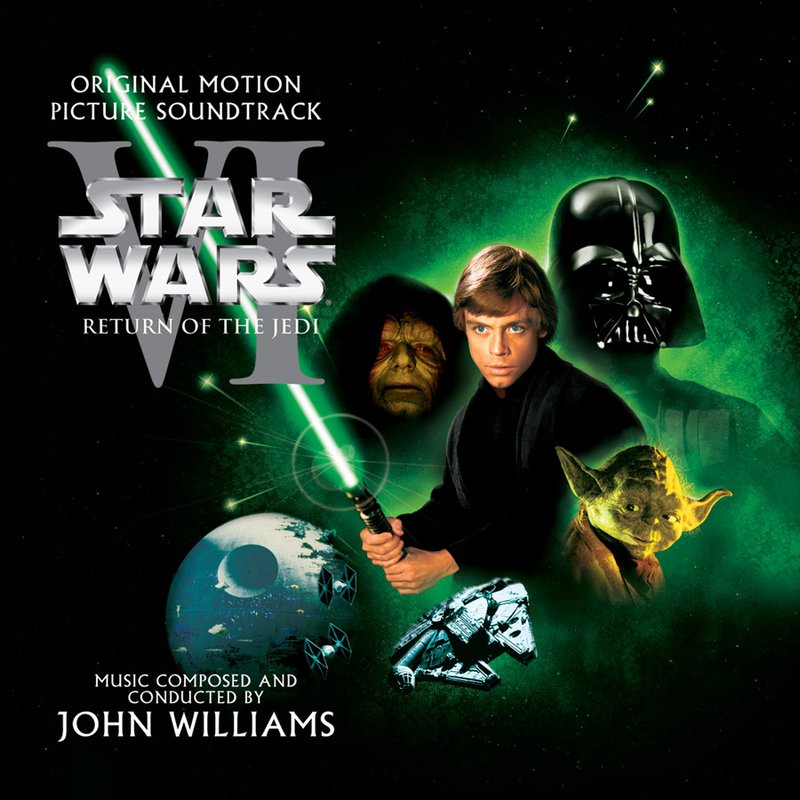 The leitmotifs that Williams employs in Star Wars are instantly familiar to audiences, even as they are slightly modified in subsequent appearances. Now that he has composed the soundtrack for another Star Wars movie – possibly his last – it is a timely opportunity to look back on the saga and attempt the rather difficult task of ranking his soundtracks in order from worst to best. Of course, even the weakest soundtrack on this list is significantly better than the music to most films. John Williams is a legend. In fact, all of them are so good that ranking them in order becomes a matter of personal taste, rather than any objective criteria. 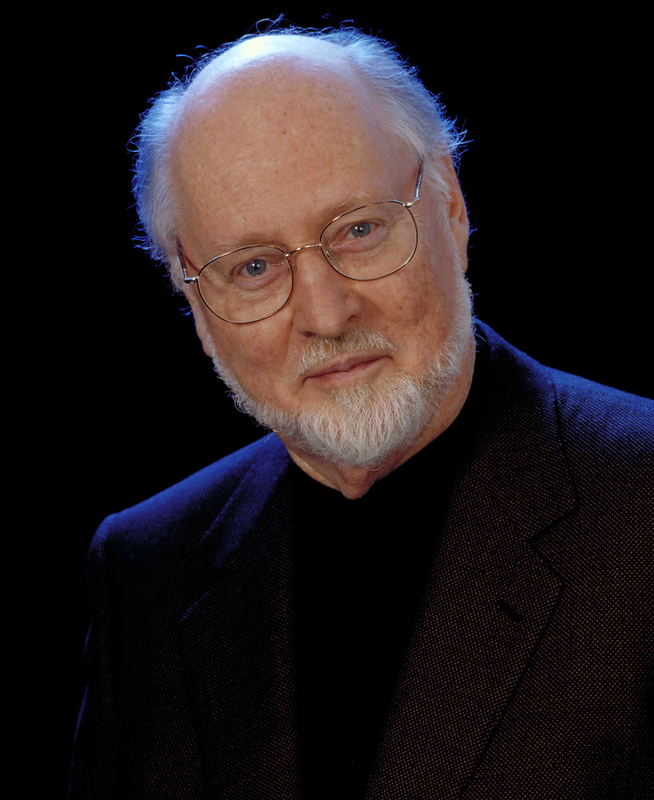 Critical opinion is divided between John Williams’s older work on the original trilogy and the work he’s done on the prequel trilogy (as well as The Force Awakens), which is much faster in tempo and makes better use of the full orchestra. Without any formal music training, I’m approaching the task from the point of view of a fan. In creating this ranking, I have focused on both original contributions to each film and how the film fits into the overall musical continuity of the saga. The weakest soundtrack on this list is still an incredible achievement, managing to further develop the familiar motifs from The Phantom Menace, as well as introduce a handful of new themes. However, the original compositions for Attack of the Clones are less distinctive and memorable than the other films. The highlight of the soundtrack is “Across the Stars,” a haunting romantic piece that represents the doomed romance between Anakin and Padmé. It’s easily the best part of their romance, and its culmination as they are led into the Geonosian arena lends a real sense of impending tragedy to that scene. There are a few other noteworthy themes. 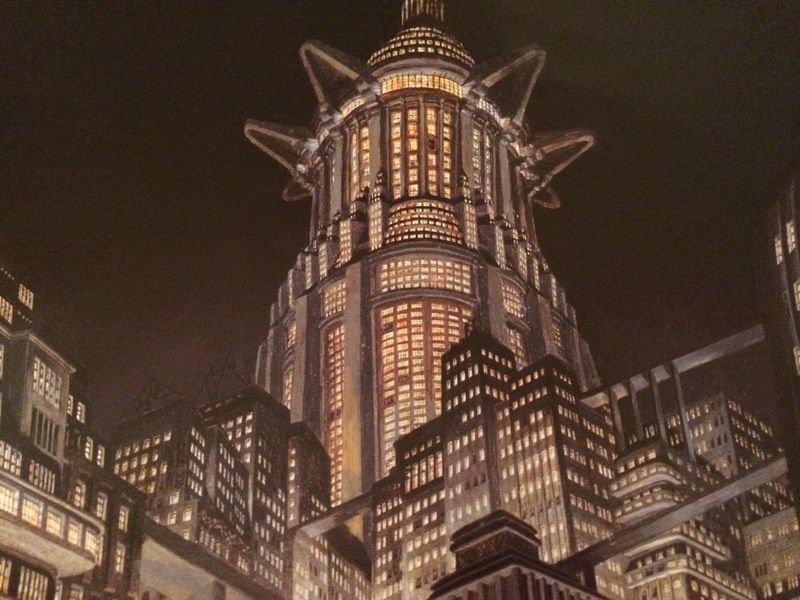 “Zam the Assassin and the Chase Through Coruscant” has a superb tempo; its reliance on drums produces an otherworldly tone that is suited to the Coruscant underworld. “Confrontation with Count Dooku and Finale” has always been a favourite of mine – its brooding beginning, as Dooku returns to Coruscant to meet Sidious, shifts into a swelling rendition of “Imperial March,” heralding the galaxy’s collapse into war and chaos. 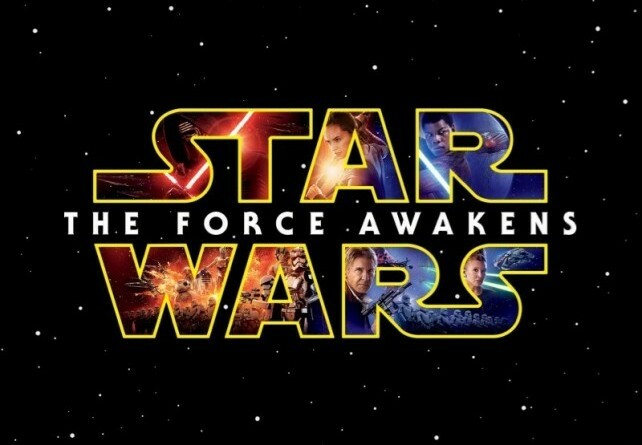 My initial reaction to the soundtrack of The Force Awakens was that it was the weakest of all seven films. It has certainly grown on me in the last few weeks. Yet compared to A New Hope, which set the tone for the original trilogy (and all subsequent films, of course) and The Phantom Menace, which established the sound of the prequels, The Force Awakens feels like a lacklustre start to the sequel trilogy. As I wrote in my review of the film, it was lacking a really distinctive piece of music, something like “Duel of the Fates” or “Imperial March” that would become part of pop culture lore for future generations. However, there are some thrilling new motifs. “Rey’s Theme” conveys a blend of playfulness, curiosity, determination, and melancholy, establishing the leitmotif for her character that I assume they’ll use throughout the sequel trilogy. Parts of this track are reminiscent of Williams’s work on the Harry Potter films, and there’s a lot of potential for growth. Kylo Ren’s theme, which isn’t given a separate listing on the soundtrack, but can be heard at numerous points throughout the film (most noticeably when Ren’s shuttle arrives on Jakku), is a suitably menacing five-note brass theme. The motif used for Supreme Leader Snoke is a sinister plainchant by a male chorus, similar to “Palpatine’s Teachings” from Revenge of the Sith, leading many fans to speculate that Snoke could somehow be linked to the Emperor. The lyrics for the choir are a Rudyard Kipling poem that Williams translated into Sanskrit, the significance of which will hopefully become apparent in subsequent films. “The Jedi Steps” is a superb way to finish the film, a fusion of “Rey’s theme” and Luke Skywalker’s theme that accompanies Rey’s first curious steps on her path to becoming a Jedi. The soundtrack is also full of familiar tunes. “Han and Leia” echoes the beloved “Han Solo and the Princess” from The Empire Strikes Back, but this iteration is slower in tempo, reflecting the age of the characters, and written in a lower key – a mournful hint of their estrangement. Similarly, the Star Wars main theme makes a triumphant return in “Scherzo for X-Wings,” a brash celebration of heroism that is one of the highlights of the entire score. Overall, the music in The Force Awakens is more similar to the prequel trilogy than the originals, with its rich use of the orchestra and its varied tempi. In the same way that the most recognizable pieces from A New Hope matured in later films, I am hoping that key pieces from The Force Awakens will be further developed in future films. The Force Awakens also marks the first time that the London Symphony Orchestra was not used to record a Star Wars soundtrack; Williams used a freelance orchestra based in California. It feels like sacrilege to place A New Hope so far down the list. After all, the most memorable motifs from Star Wars originate in this film. Yet the music in A New Hope feels strangely incomplete compared to later films, as if Williams was laying down the foundations for future compositions. Science fiction films of the 1960s/70s often relied on electronic music to reflect the strangeness of their alien landscapes, but Stanley Kubrick made an influential return to classical music in 2001: A Space Odyssey (1968). 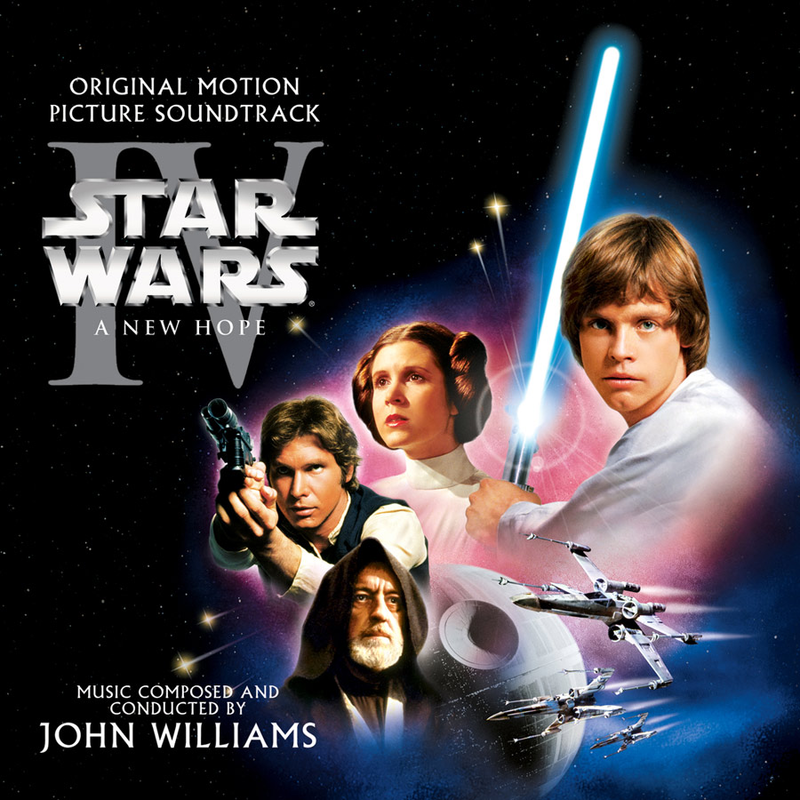 Williams follows Kubrick’s example in the soundtrack to A New Hope, weaving in numerous references to classical composers (such as Holst or Stravinsky). Yet his subsequent Star Wars scores eschew this classical trend in preference of modernist sounds that would anchor the focus on the characters, rather than the fantastic setting. This allowed the emotional weight of the music to drive the audience’s connection with the characters. Pieces such as “Princess Leia’s Theme” are highlights of A New Hope, but they find better maturity and emotional depth in The Empire Strikes Back and Return of the Jedi. The iconic “Main title theme,” which opens every Star Wars film, is best employed as a fanfare for Luke during particularly heroic moments. It’s a remarkably flexible theme, able to be used for moments of solemnity as well as heroism, making it one of Williams’s most memorable. Yet no other piece of music is as synonymous with Star Wars as “Binary Sunset.” It appears as a motif for Luke throughout the rest of the trilogy, and often occurs whenever a character uses the Force. With its optimistic yet nostalgic tone, it is used to mark significant moments throughout the series (such as when Rey meets Luke in The Force Awakens). It is perhaps the single best piece of music in the entire saga, and one of John Williams’s most emotionally resonant pieces. It conveys a pure sense of wonder, tinged with sadness, instantly transporting the listener to the Galaxy Far, Far Away. The music of Return of the Jedi will be forever marred by George Lucas’s choice to include some terrible diegetic pieces (music that is part of the action and can be heard by the characters). “Lapti Nek” is the bizarre dance scene in Jabba’s palace, which was replaced in the 1997 Special Editions with the even more excruciating “Jedi Rocks,” representing one of the most incongruous moments in the entire saga. Even more harrowing was the Ewok celebration song at the end of the film, “Yub Nub.” Audiences in 1983 must’ve been appalled that their last moments with the beloved characters weren’t imbued with an appropriately stirring score by John Williams, but cheapened by an Ewok chorus with xylophone accompaniment. The Special Editions thankfully replaced this with a more suitable Williams piece. However, despite these glaring problems, the rest of the film has a fairly strong composition. “Princess Leia’s Theme” from A New Hope finds its ultimate maturity in this film as “Luke and Leia.” It plays very little during the actual film, but Williams’s extended concert suite demonstrates its power. It is less vulnerable than Leia’s previous pieces, finding a hidden strength as she discovers that she’s a member of the Skywalker family. “The Emperor Arrives” is the first time a choir is used in a Star Wars film, creating a foreboding motif that instantly establishes the nature of the Emperor. Williams continues to employ a sinister male choir throughout Palpatine/Sidious’s appearances in the prequel trilogy, establishing a sort of unofficial theme for the dark side of the Force. Its best use – and most insidious – is in the celebration scene at the end of The Phantom Menace, where the falsetto chorus of children create a seemingly innocent version of this sinister motif. It all hints at Palpatine’s grand plan. The music during the climactic lightsaber duel is some of the best in the entire saga – it’s the emotional climax of the original trilogy, the moment of Darth Vader’s redemption, and Williams does justice to the weight of the events. As Luke removes Vader’s mask, the soft notes of the “Imperial March” played on a harp signal the end of Anakin’s journey. Audiences had waited 16 years for a new Star Wars film when The Phantom Menace was released in 1999, and although many were disappointed with the actual film, the soundtrack confirmed that Williams was still at the top of his game. The challenge of The Phantom Menace was to revisit the music from the original films, but create a new sound for a new trilogy. 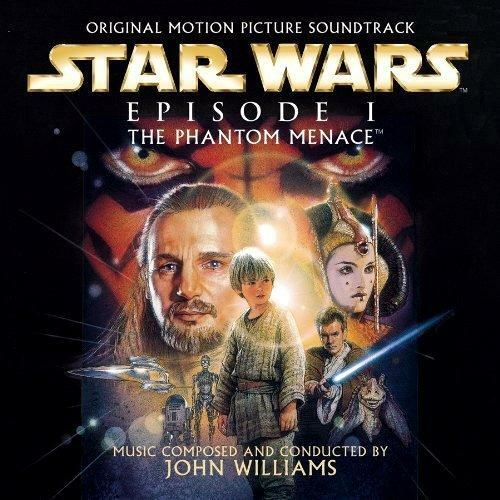 Perhaps more than anything, The Phantom Menace demonstrates the flexibility of Williams’s score. He wrote a large number of new motifs for this film, but they seemed instantly familiar to audiences, as if they’d been a part of Star Wars since the beginning. His reliance on leitmotifs was crucial to this effect: a few familiar refrains in the middle of a new theme could anchor the music to the rest of the series. “Duel of the Fates” is an absolute tour de force (pun intended), and remains one of the most unique pieces in the entire saga. The lyrics to the choral accompaniment are derived from a Sanskrit translation of the Celtic poem “Cad Goddeu.” Translated into English, the words read “Under the tongue root a fight most dread, and another raging behind, in the head.” It signifies the intense psychological nature of this battle, as well as the constant shifting between light and dark. 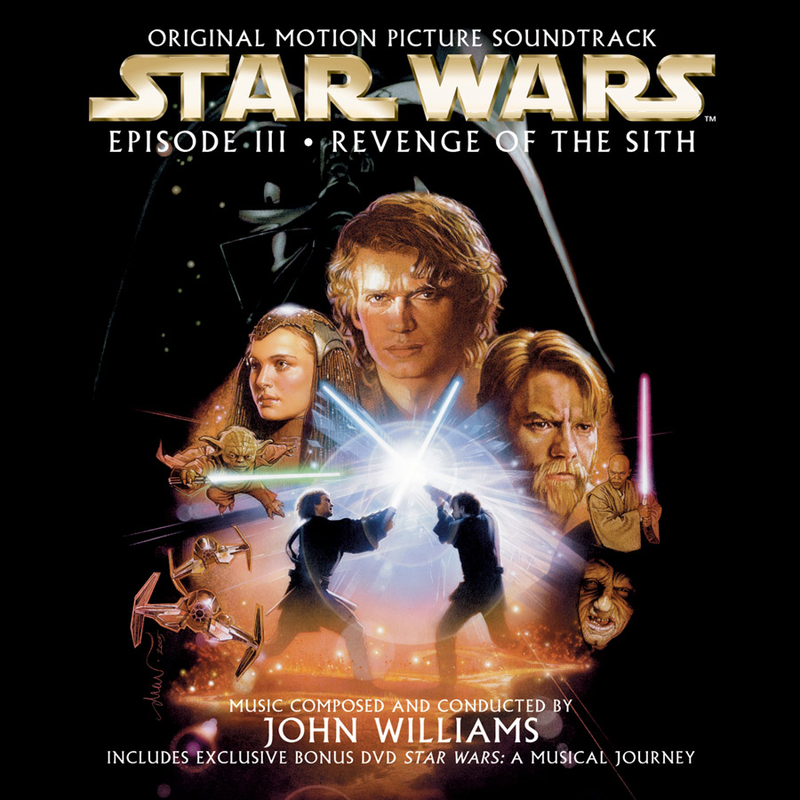 The music during the podrace is equally amazing, highlighting the differences in tempo and use of the orchestra that separates Williams’s prequel work from his older material. The strength of Revenge of the Sith is not necessarily in its original compositions, of which there are few, but in its masterful re-use of themes from previous films. It establishes a bridge between the two trilogies, combining the best themes from the prequels with the familiar refrains from the originals. “Battle of the Heroes” is another duel piece that benefits from a choir, as well as the staccato brass moments that sound like they’re straight out of Sibelius’s Finlandia. It is a deliberate counterpart to “Duel of the Fates,” but has greater gravitas and a more tragic tone. Most importantly, it feels like the perfect theme for the most anticipated duel of the entire saga – the moment we finally get to see Anakin fight Obi-Wan. Both “Palpatine’s Teachings” and “Padmé’s Ruminations” are amongst the most atmospheric pieces in Williams’s oeuvre. They reflect Anakin’s descent into the dark side: the indecision, the fear, the tragedy. The tremulous tone in “Padmé’s Ruminations” is particularly poignant as Padmé contemplates the future of their relationship. Perhaps the best part about this soundtrack is how it seamlessly blends the best parts of all previous Star Wars films into one giant celebration of John Williams’s music. The “End Credits” track feels like it should be renamed “Star Wars Greatest Hits,” as it weaves in all of the most memorable pieces in the saga. In 2005, audiences were convinced that this was the final Star Wars movie: it felt like a stirring end to the journey. Most people would probably put The Empire Strikes Back at #1 for the “Imperial March” alone, but the soundtrack of this film is so much more complex than a single memorable piece. It doesn’t just introduce us to some of the most iconic themes in the saga, but it also takes the most recognizable motifs from A New Hope and imbues them with new depth and meaning. The Empire Strikes Back is the darkest film in the series, and Williams’s soundtrack successfully carries its emotional weight. If the foreboding choir music that often accompanies Emperor Palpatine is the expression of the dark side of the Force, then “Yoda’s Theme” is the music of the light side. This theme epitomises the simple, yet profound nature of the ancient Jedi Master. The crescendo as he lifts the X-Wing out of the swamp is one of the most sublime moments in the entire saga; to many fans, it is the sound of the Force itself. The romance between Han and Leia is reflected in “Han Solo and the Princess,” which combines the understated vulnerability of “Princess Leia’s theme” with the sort of cheeky levity that we associate with Han. It is a far superior love theme than “Across the Stars,” and its poignancy during moments of sacrifice makes it one of the best themes in the entire saga. Han and Leia’s love is built around this theme. The action sequences in this film would lose their urgency without the perfect tempo of Williams’s score. 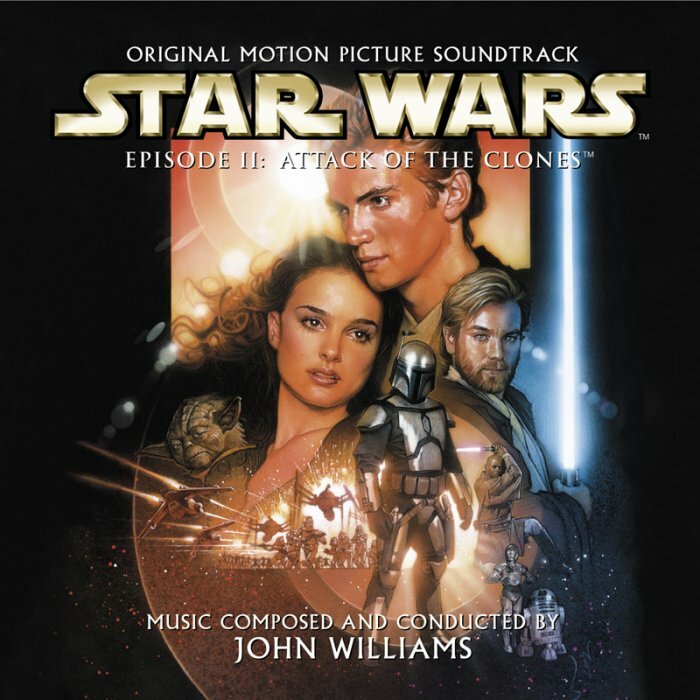 The harrowing chase through the asteroid field and the escape from Cloud City are matched by Williams’s score; in these pieces, he anticipates the increased action tempo that he employs in the prequels. Of course, “Imperial March” is the defining point of this soundtrack. It has outgrown the film itself, becoming pop culture shorthand for anything that is pure evil. Williams embedded faint stirrings of “Imperial March” throughout the prequel trilogy, especially in “Anakin’s Theme” in The Phantom Menace, where its sinister undertones hints at Anakin’s fate. Its first use in The Empire Strikes Back, as the fleet of Star Destroyers gather around the Executor, is a rousing moment of strength for the Empire. It sets the tone for the film. This is the soundtrack when John Williams’s leitmotifs became most crucial, most identifiable. He had established his sound in A New Hope, but it was in The Empire Strikes Back that he revealed his larger vision. I didn’t know the London Symphony Orchestra wasn’t used for the soundtrack of The Force Awakens! It makes so much sense, though – you can actually tell the difference, especially in the Main Titles. The change of recording studio would have a lot to do with that as well. Yeah, I agree that you can hear the difference. It will be interesting to hear the variation in sound when John Williams steps down as composer for Rogue One. Alexandre Desplat is definitely a worthy successor; his scores Harry Potter and the Deathly Hallows are very Williams-esque. I can’t find anything to disagree with you here. A lovely story I heard (probably on youtube, I can’t remember where) was when Williams recorded the prequel music with the LSO he found some members of the orchestra were the same members whom he recorded with on the original films. Not only that but there were other younger members of the orchestra who told him they had been inspired by the original films to get into music. I went to a concert a few weeks ago called Star Wars And Beyond, it was the first time I had heard “Imperial March” “Across The Stars” and “Duel Of The Fates” live. I was maybe a little emotional, lol. That’s a pretty nice story about John Williams. I know how you feel about the concert – I went to a tribute concert to John Williams a few years ago; I’ve never seen the concert hall so full. They even had Stormtroopers guarding the stage. Fantastic blog! I def put V at the top of the list and VII near the bottom. I mostly agree with the rest of your order too. Your analysis of themes is spot on as well regarding Duel of the Fates, Across the Stars, and others. Thanks!! I’ll be very interested to hear what the Rogue One score sounds like without Williams at the helm. That’s a great idea for a wedding march. As much as I love A New Hope’s soundtrack, Williams is drawing so much from classical composers – I still feel like it was ESB where he fleshed out his own sound.